Whether they start in-store, on-the-go, or from their couches at home, today’s shoppers travel complex buying journeys, crossing multiple channels and devices— all while expecting retailers and brands to understand them and meet their growing expectations. This new study reveals what motivates in-store shoppers to make a purchase and keep them coming back again and again. 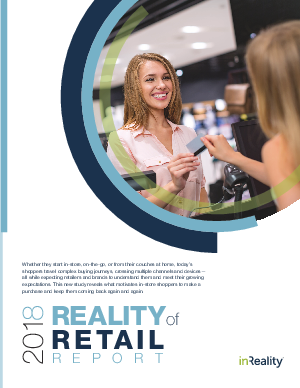 Details on the demand for a seamless in-store shopping experience, and the impacts when shoppers are unhappy. What shoppers expect from the store of the future, and how it’s impacting today’s shopping experience. Current in-store marketing tactics, and what’s working (or not). The value of the current in-store associate.